Baseball leagues at all levels establish rules concerning the equipment that may be used by players, and this includes any bats utilized during the game. As a result, the choice of bat is now more important than ever, as the right bat can help a player gain an advantage over the competition. Following individuals will find information on BBCOR bats, why they are necessary and what bats are best for 2019. Players need to realize that due to changes in the industry, a bat that was considered among the best last year may not be true this year, thus this information becomes even more important. Click here to see the best-rated drop 3 baseball bats of 2019 and then continue reading the rest of this article. The National Federation of State High School Associations together with the National Collegiate Athletic Association used to make use of Ball Exist Speed Ratio (BESR). It’s a bat certification test, when determining which bats should be used during play. The BESR test measured the speed at which a ball bounced off of the aluminum or composite barrel of a bat. The problem with using this test was it didn’t account for changes when the bat was broken-in. When a bat became too hot, safety became an issue. What Does BBCOR Actually Stand For? As a result, the two organizations opted to implement a new test, now known as the BBCOR test. BBCOR stands for Batted Ball Coefficient of Restitution. The BBCOR certification test examines what happens after a bat is broken in. The test looks at the performance of non-wood bats and ensures they perform similar to wood, whether it is their first use or the fiftieth. This test functions to better protect players at every level. Players can easily determine if they are testing a BBCOR bat simply by looking on the barrel of the bat. Meaning, either near the handle or the top. What Are Drop 3 Or BBCOR Bats? To be labeled a BBCOR or drop 3 baseball bat, the equipment must have a barrel that is 2-5/8″ or smaller in diameter combined with a maximum -3 length to weight ratio. This ratio is referred to as the drop of the bat, and it provides information on the bat’s length in inches and its weight in ounces. Players must be aware that the ratio may be anywhere from -3 to -14 and understand what is required by the league they play in. The length of the bat to be used is typically determined by the player’s weight and height, and a BBCOR bat will be three ounces lighter than the length in inches. For example, a 25-inch BBCOR bat will have a weight of 22 ounces. => I personally tested this bat – Read more here. The BESR test looked at the speed of the incoming pitch and the speed of the ball as it left the barrel of the bat. Statistics maintained in Division I college baseball found that pitchers may be in danger due to the speed of the ball leaving the bat. In addition, the statistics showed that offensive performance was increasing, which could also lead to safety issues. The BBCOR certification test addressed these issues. This test focuses on the amount of energy that is lost when the baseball makes contact with the bat. The higher the number, the more trampoline effect is observed. A BBCOR bat cannot have a maximum value higher than .50, as this is what is achieved with a wood bat. As a result of the change in certification tests, batted ball speeds have been reduced by five percent. In addition, if the bat includes a composite barrel, it must undergo an Accelerated Break-In (ABI) test to make certain that when a bat reaches its peak performance, it will still qualify as a BBCOR bat, according to the test standards. Most people don’t realize that the moment a ball makes contact with a baseball bat, the ball is compressed by approximately one-third. The ball has a great deal of energy, as witnessed by the speed and spin of the ball as it moves toward the batter. When a wooden bat hits the ball, a large percentage of the energy in the ball is lost. The speed of the batted ball actually gets its energy from the bat. Composite and hollow-core aluminum bats perform differently when they come into contact with the ball. These types of bats possess thin walls, thus there is less distortion of the ball. As a result, the ball retains the energy it obtained during the pitch and increases its energy thanks to the power of the bat. The goal of leagues requiring the use of BBCOR bats is to level the field for all players while increasing their safety. As a drop 3 bat reduces the performance of the bat by 10 to 15 percent, there is less of a concern in either area. Players have more time to react to a batted ball heading their way. Furthermore, all bats now offer the same performance as the top rated wooden ones, thus individuals will need to improve their swing and accuracy to get consistent hits. Watch this video to get the full details on why drop 3 bats are designed the way they are. What Leagues Use These Types Of Bats? In January 2011, NCAA baseball players or those at the college level found they were required to use a BBCOR certified bat. The following year, the NFHS mandated that high school players use this type of bat also. Other leagues may also require their players use a BBCOR bat. It is best to ask before purchasing equipment of this type. Professional leagues, in contrast, continue to make players use wooden bats. It is estimated that 455,300 high school baseball players currently use BBCOR compliant baseball bats, as required by the National Federation of State High School Associations. Roughly 25,700 players at the college level also use these bats to comply with National Collegiate Athletic Association regulations. This doesn’t even take into account players in other leagues who have opted to use a BBCOR bat, as they feel most comfortable with it. Individuals would often find the need to break in their baseball bat, but this isn’t an issue with drop 3 bats. The bat performs the same no matter how much it is used. This is one reason why leagues have opted to make this change, and it also eliminates the need to reserve time to break in the bat. Many players will find this to be to their advantage. Players who want a good looking bat often turn to Easton, as this company offers some of the best looking bats available today. In addition, they offer the performance individuals are looking for when it comes to their baseball equipment. Many high school players currently opt to make use of these popular bats, and this is one manufacturer anyone looking for a new bat should consider. The company stands behind what they sell and offers only high quality items that are designed to perform. In fact, the products exceed the industry standards with regard to quality and durability. For this reason, they offer a bat warranty program on their high performance composite or aluminum bats. This warranty is good for one year from the date the bat was purchased. The official Easton site provides more details on this warranty. 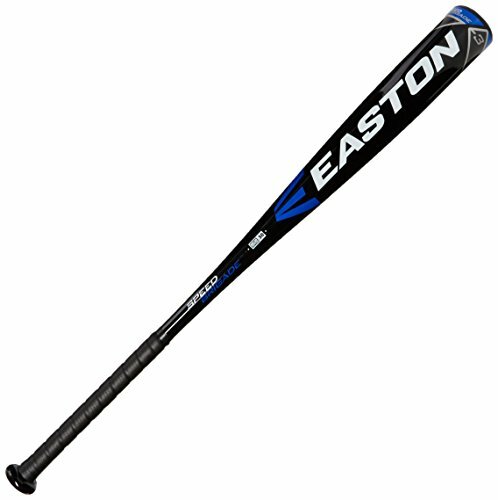 Easton offers a wide range of baseball bats. Choose from two-piece full composite bats, one piece all aluminum bats and two-piece hybrid options. In addition, the company offers BBCOR bats for a variety of leagues, including little league senior, USSSA, high school and pony leagues. They offer a BBCOR bat perfect for any player. Many find their preferred bat is the BB16MK which comes in sizes ranging from 31 to 34 inches. Read more about Easton baseball bats by visiting here. These bats have an excellent track record, and players will find there are many different bats to select from. Although this brand first gained popularity in the 1990s with softball players, it is now considered a main brand when it comes to baseball also. The new CF Zen is a popular model with many players, and it’s extremely cool as well. It offers the best balance of all bats today and comes in a wide range of sizes. One good thing about this line of bats is the price, as they tend to be very affordable. DeMarini also offers a warranty on their bats, and this warranty covers three specific areas. If the bat is severely dented or cracked from normal use within one year of purchase, it will be replaced. If the knob and end-plug are found to be defective within the first year after purchase, the bat will be repaired or replaced. No other warranties are available. These BBCOR certified bats remain the top choice of players and are legal in high school and college play. The feel of this bat differs from aluminum, and the performance rating of many composite drop 3 bats is very good. With a variety of bats to select from, including the AXE Avenge, Louisville Meta Prime, Rawlings Velo, and some Easton bats, players will find it easy to locate the perfect composite bat for their playing style. One model every player should consider is the 2018 Rawlings Quatro BBCOR bat. This bat has taken the industry by storm, and numerous high school baseball players prefer it over all others. This bat consistently receives high ratings, as seen with the popular 2017 version. Players know they can’t go wrong when they choose it. The 2018 model only improves on what was seen last year with this bat. One reason for the popularity of composite bats is the swing weight. The swing weight of this type of bat can easily be adjusted by the manufacturer, simply by changing the weight distribution of the bat. This is easier done with a composite bat than with its wood and aluminum counterparts. This is due to the lighter weight of the material and the fact that it can be easily manipulated. The damping rate is approximately two to ten times that of a standard aluminum bat. This means players are less likely to feel a sting if they miss a hit. For those who are still concerned about the weight of their bat, the Easton S250 bat may be perfect. It’s very affordable, and the 30 inch model comes in at only 27 ounces, making it among the lightest on the market today. The actual swing weight, as described by players, is easy and light. A number of players are choosing to return to wooden baseball bats, and there are wood bats that qualify as BBCOR bats on the market. Individuals will find that these bats offer very similar performance to that seen with composite and aluminum drop 3 bats. Many choose to use a wooden bat when they are training and/or during the off season. They feel doing so helps to prepare them for actual game play. The DeMarini D271 remains the top of the line when it comes to wooden BBCOR bats. This bat has been approved for professional players, but any baseball player can benefit from it. It isn’t hard to get used to, so be sure to check it out today. One reason many players choose to try a wooden bat is it provides more feedback about their mechanics. When a person swings at a bad pitch, they feel it in their hands or break their bat. As a result, players who use a wooden bat find they obtain a better understanding of the strike zone, as they want to avoid these problems. Additionally, a player has to learn the sweet spot of the bat if they wish to make good contact with the ball. Doing so allows them to maximize their at-bats. The wooden bat is balanced and properly weighted, thus players are able to drive the ball without swinging the bat as if it were a golf club. Lastly, wooden bats are less expensive than other drop 3 bats, and many players are sure to love this. This Stick Has Great Sound! Watch this video showing you the ins and outs of this awesome bat! The 2019 Louisville Slugger Meta Prime BBCOR leads the list of the top drop 3 bats for the upcoming year. It has become so popular that certain sizes are quickly selling out. Thanks to its 3FX connection system, this bat is virtually vibration free, making it much easier to control and hit the ball hard. Automatic outs become less of an issue when this bat is selected, as it can correct for imperfect ball contact. Most players choose baseball bats made in either the United States or Japan, two countries known for their love of the sport. Individuals who look elsewhere, however, will find Canada offers some great BBCOR bats, including the 2018 Combat Maxum BBCOR. The low weight and excellent balance allow for absolute control. The extended barrel size offers more opportunities for a player to get a hit. Individuals fell in love with the 2017 Mizuno MaxCor BBCOR bat and the company has only improved on it for 2018. Made with a new viscoelastic polyurethane sleeve, the bat provides a sweet spot that is 33 percent larger than seen in previous versions. Players find their hands won’t sting when they make contact with the ball thanks to the dynamic dampener. The dampener helps to keep vibrations minimized. To learn more about these bats, please visit The Absolute Ultimate Top 10 Best BBCOR Bats-2019 Winners page. Here you will find further information about these bats. This includes ratings, materials used, information on the grip, the warranty and more. The handy chart provided makes it easy to narrow the choices in a short period of time. The 2019 Marucci Cat 8 BBCOR comes in at number four on the list of the best BBCOR bats for 2019. As if you thought the Cat 6 and 7 were good, this bat offers numerous attributes that players are searching for. This doesn’t even take into account that many say it’s the best alloy bat. The 2019 DeMarini Voodoo Balanced BBCOR, simply known by many as the 2019 Voodoo, doesn’t disappoint. Players often wonder if it can live up to expectations based on the name alone. They quickly find the bat can and does. Its extended length provides more power when the bat is swung. Players looking for a more affordable bat that still offers a great deal of pop often choose the 2019 Louisville Slugger Omaha 519 BBCOR baseball bat. Not only does this bat feature a brand new 6-Star premium end cap design, it also features the new VIBE™ premium vibration dampening handle construction. Pitchers have come to fear the 2019 Easton Project 3 Fuze BBCOR bat. The light weight and even balance ensure the swing speed of the bat can keep up with the fastest ball. Best of all, young adults and teens want to use it, thanks to its cool looks. In fact, it has been described as a race car that always looks prepared to pounce. Players who loved the Mizuno alloy bats in 2018 will fall all over themselves to get the 2019 Mizuno B19 Hot Metal BBCOR baseball bat. It is simply so much better than its predecessor. The 2019 B19 drop 3 makes use of a one piece design, one that provides less flex with a higher performance. In addition, the optimized end cap widens the sweet spot and creates a booming sound. More information about these bats may be found on The Absolute Ultimate Top 10 Best BBCOR bats-2019 Winners page. Be sure to visit this page for information on the bats before choosing a new bat for the upcoming year. Players who do so will find the choice of bat to be easier, thanks to the information they now have. Numerous factors are looked at on this page, making it simple to reduce the number of bats one must try before finding the right one. The choice of bat is very personal. Each player should try numerous versions to find the one that best meets their needs. Try helping them stay within the guidelines established by their league. Every bat on the list should be tried before a purchase is made. However, due to the changes seen in the baseball bat industry. Technology is advancing at a rapid rate, and baseball equipment evolves every year. As a result, the perfect bat in 2017 may be outdated in 2018. In order to stay competitive, players need to reassess their equipment choices each and every year. By doing so, they can ensure they stay on top of their game and continue improving their skills. This is one area where corners should never be cut, as gameplay can suffer when they are. 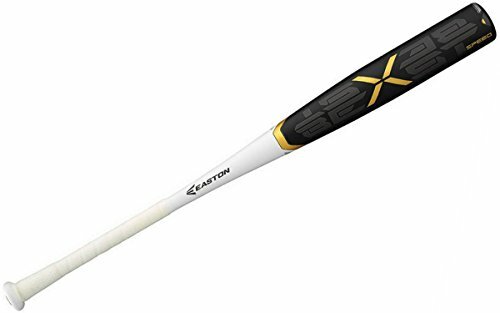 There are LOTS more great drop 3 baseball bats on the Amazon Top Bats List for 2019. Top 5 Best BBCOR Bats 2015: Better Than Last Year? I wonder if you can use these in girls softball 14U? My daughter is already a slugger, I can’t even imagine her if she had a drop 3 bat.. wow! Lesley – These bats are specified for BBCOR baseball but there is an awesome selection of drop 8 fastpitch softball bats available too! DeMarini Voodoo bats, are in my opinion, the best drop 3 available. They are solid with outstanding pop.